Chaz Bono has lost 60 lbs after announcing his intention to drop 50 lbs in weight in November. After his announcement, Chaz Bono showed off a slimmer physique in February on an episode of The Doctors with Dr. Travis Stork. Chaz Bono started off weighing 250lbs. He appeared to be keeping the weight off in a recent photo with his famous mother Cher. Meanwhile new reports claim the two are barely speaking because Cher has had a hard time dealing with Chaz’s dramatic transformation from her shy, pigtailed girl to a muscular man. Cher Chaz Bono, who was born daughter Chastity, have agreed to a take a “personal time-out”. “Cher loves Chaz to death, but she stopped talking to him because they just don’t see eye to eye on the very public way he’s continued to deal with his transformation,” a source told RadarOnline. Cher even joked that Chaz was reminding her too much of her late husband Sonny Bono and their stormy romance. Chaz is said to have agreed to the break. 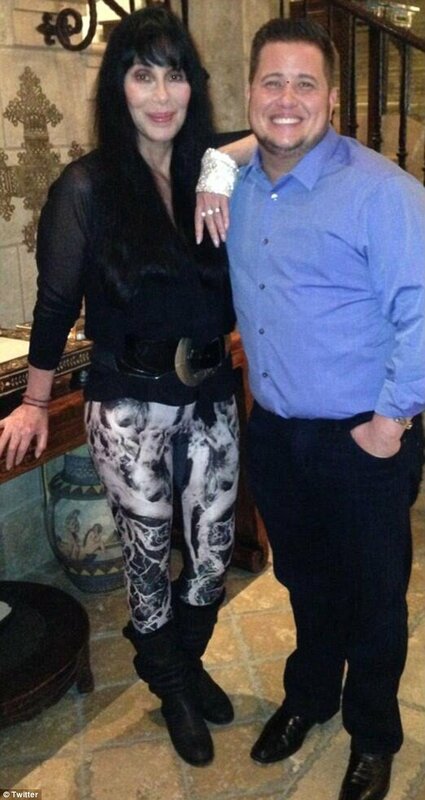 There were no signs of friction between Chaz Bono and Cher in a photo that Chaz tweeted on April 7 showing them smiling side-by-side. Cher and Sonny Bono starred in the popular mid-1970s show The Sonny & Cher Show on CBS and young daughter Chastity, now Chaz, made frequent appearances.